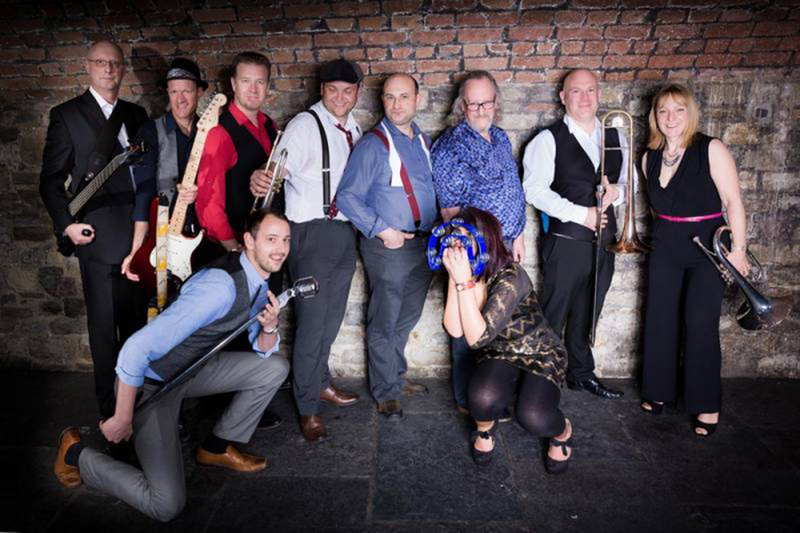 Up The Function are a lively 12 piece group that put a big band spin on Motown, soul and pop favourites including "Jailhouse Rock" by Elvis through to "Super Duper Love" by Joss Stone. 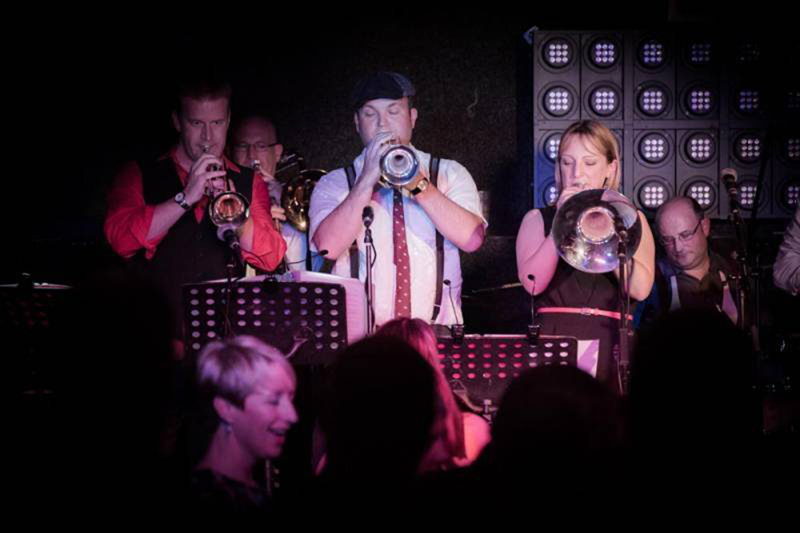 Complete with a stomping six-piece brass section and three talented vocalists, this group breathes new life into the dance floor classics you know and love. 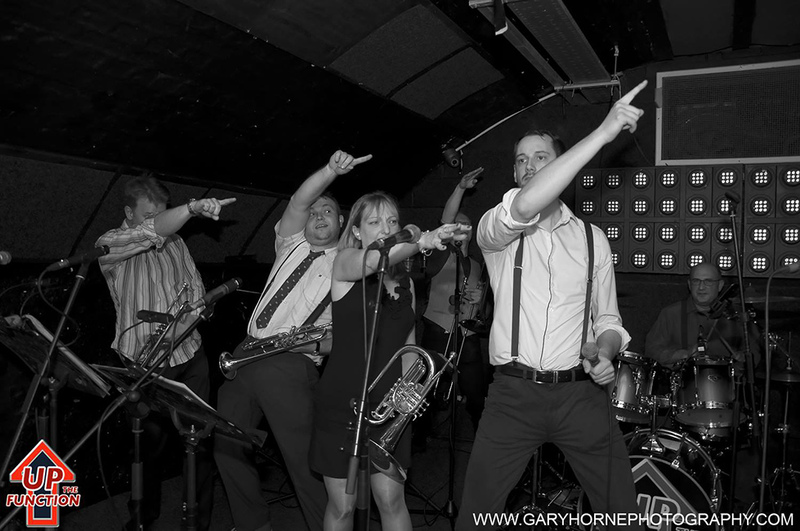 We are a fun, lively band with a fantastic brass sound, and with over 10 years' experience we promise to make your night unforgettable! Despite the band size, Up The Function are willing and able to fit into most venues, big or small. 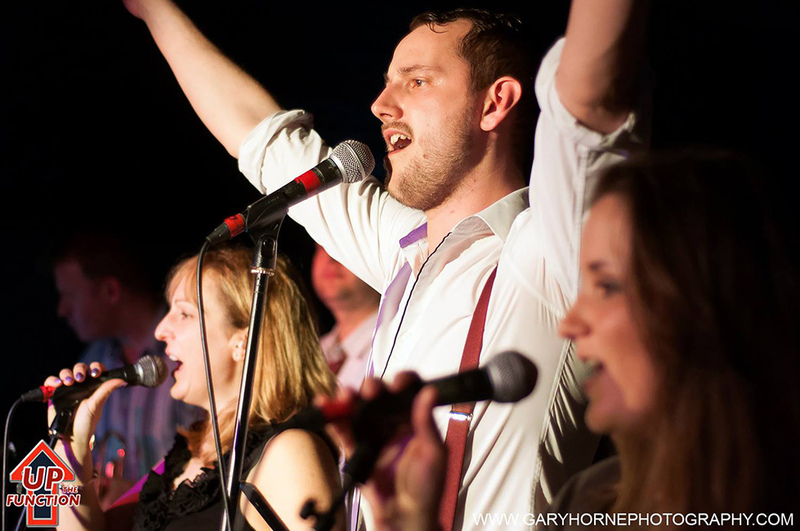 They are happy to perform in barns, village halls and hotel function rooms. Their repertoire covers a wide range of popular classics from the '50s to now, delighting wedding guests both young and old. Funky guitar, bass and drums underpin the sound, with a six-piece brass section to stoke up the rhythm. The band is fronted by three gorgeous vocalists who each give their own unique feel to the sound. Look forward to a high energy, non-stop performance that will have you dancing the night away! 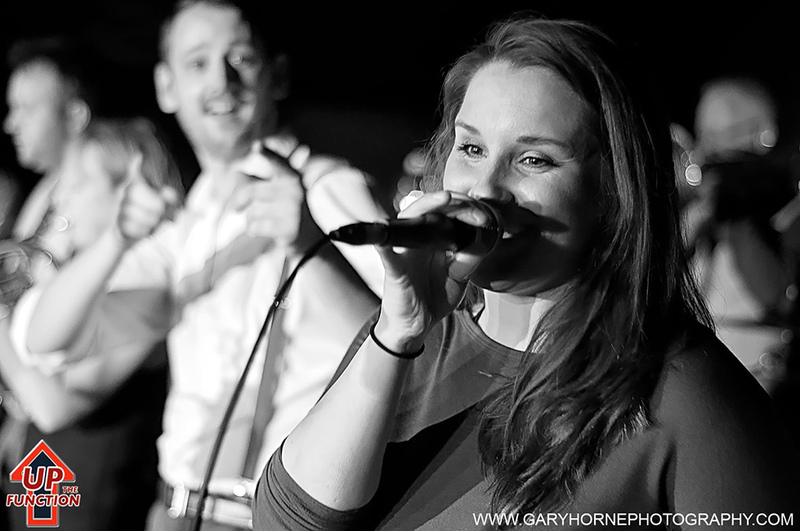 Up The Function perform covers of '50's favourites, blues, soul, rock and roll and an array of pop covers. 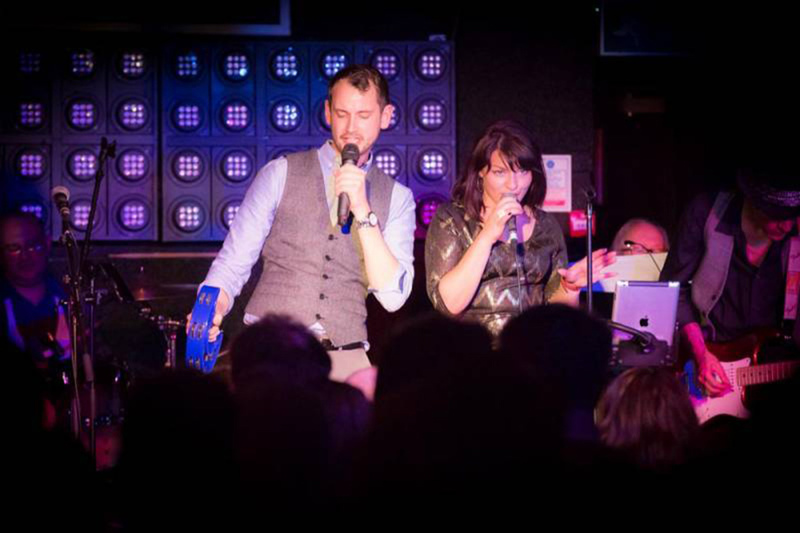 Their eclectic mix of genres will have all your guests singing along. Choose a specific era for the day; with the band offering three costume themed options. Suave and sophisticated, "Soul Town" brings you glamorous 1960's Motown and Soul hits. Get out your short dresses and colourful shirts. 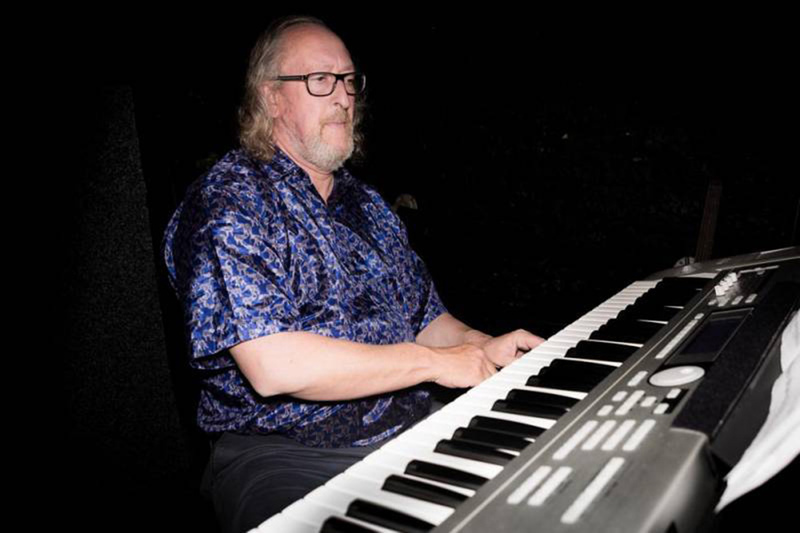 Blues Brother, Soul Sister presents you with funky soul and blues, with an R&B vibe. Kick start the party with these instant floor fillers. Delve into your closet for some '90s attire or something with a groovy soul train edge. The '70s and '80s show takes you back to the ever-reminiscent days. The '70s saw the rise of flares, brown suede and clashing patterns. The 80s favoured the big hair, splashes of neon and leg warmers. Go all out with a dress code, your guests will feel as though they are being transported back in time. The full repertoire can be found here. 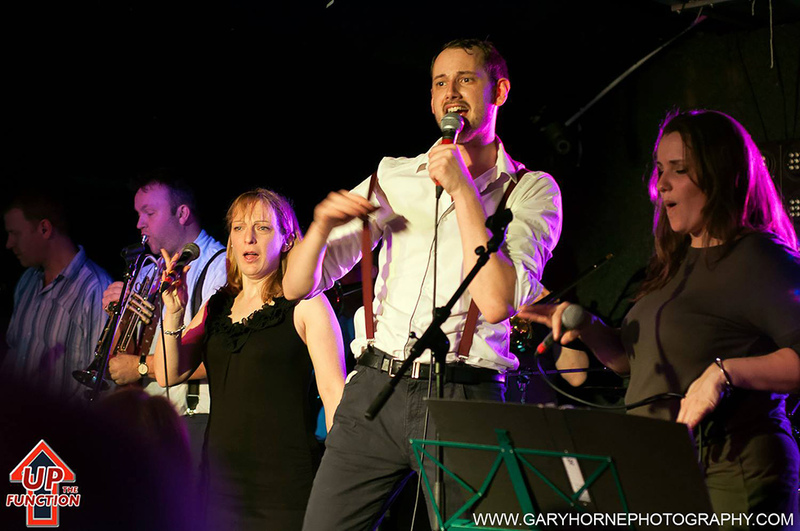 The band will provide all sound equipment needed for your venue. Lighting is also provided and music can be played before and after the main performance. 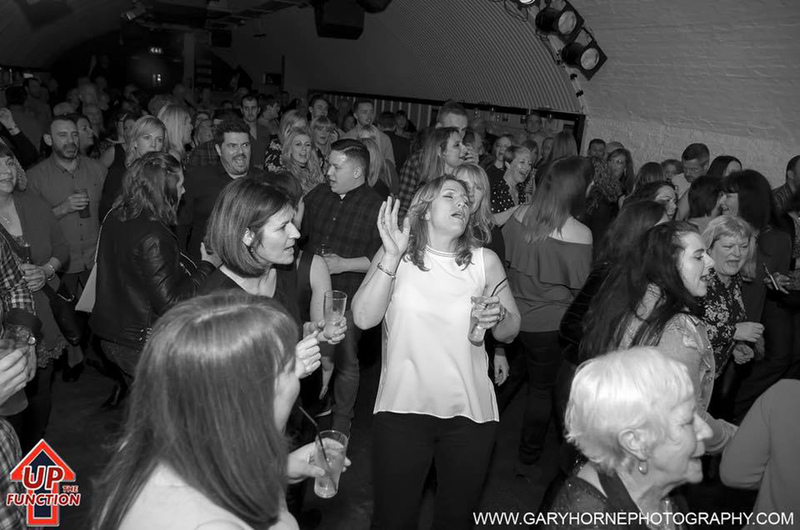 Up The Function work with a variety of other acts including singing waiters and DJs; just ask and they'll tailor their packages to your requirements. Enjoy their non-stop tunes from a variety of decades, styles and genres of music to ensure your guests are dancing all night long. For more information about the band or to go ahead and book these talented musicians, please click on the contact buttons at the bottom or to the side of this listing. Let others know what you think of Up The Function by giving a star rating and a small review.